Samsung Galaxy S10 has been in development for several months now. Previously, we could see the Plus model in the Onleaks rendering name. But now the network has a new photo showing the prototype of this phone. The photo is taken in one of the subway cars. 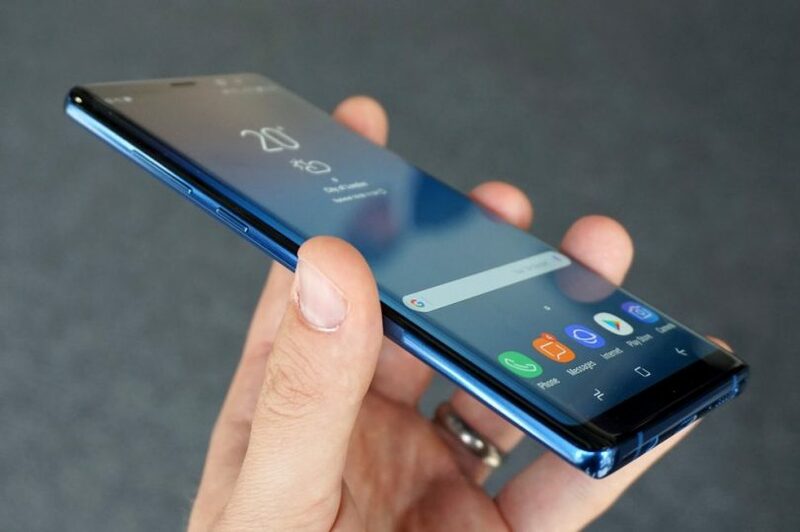 However, it is not known, in fact, this is the Samsung Galaxy S10, or maybe some other model. The Samsung Galaxy S10 has a lot of different information. Part of the rumors suggests that this model has a 6.1-inch screen, while others have a 5.8-inch diagonal. On the back of the case there will be a triple chamber. Its specifications, however, are not known. The premiere is expected at MWC 2019 in Barcelona. Recent leaks suggest that the reverse charge function may also appear. Rumors suggest that the Samsung Galaxy S10 will be available in four versions. In addition to the intermediate model and Plus, a budget version of the smartphone should also appear. And for the most demanding users, there is the option of the SM-G977, which will receive a 6.7-inch screen and 5G modem. Of course, the price of the latest model will be far from low.